This recipe is perfect for a quick lunch and has endless possibilities! Fresh, healthy and completely satisfying! *Brush the pita with olive oil and sprinkle with the greek seasoning. *Bake in the oven for 5-10 minutes. Keep an eye on it and remove from the oven when it's perfectly toasted. *Top with hummus and veggies. This is also a great way to make your own pita chips. Just cut up the pita bread before baking it and ta-da! Homemade pita chips! Hello, Tuesday! It's really a "monday" for me, we took an extra day off this past weekend, so I'm easing into the week and trying to hang onto the stillness and peace we found at Kerr Lake. 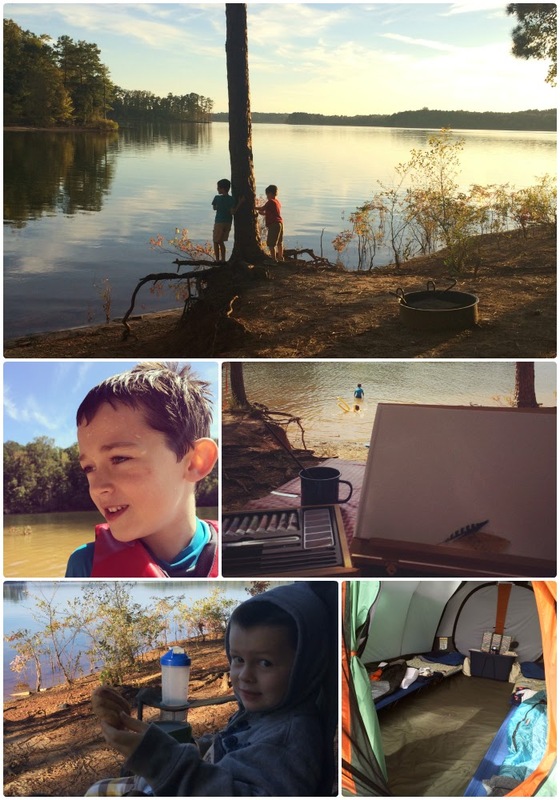 I think it's safe to say that this is our favorite place to camp with the kids so far. 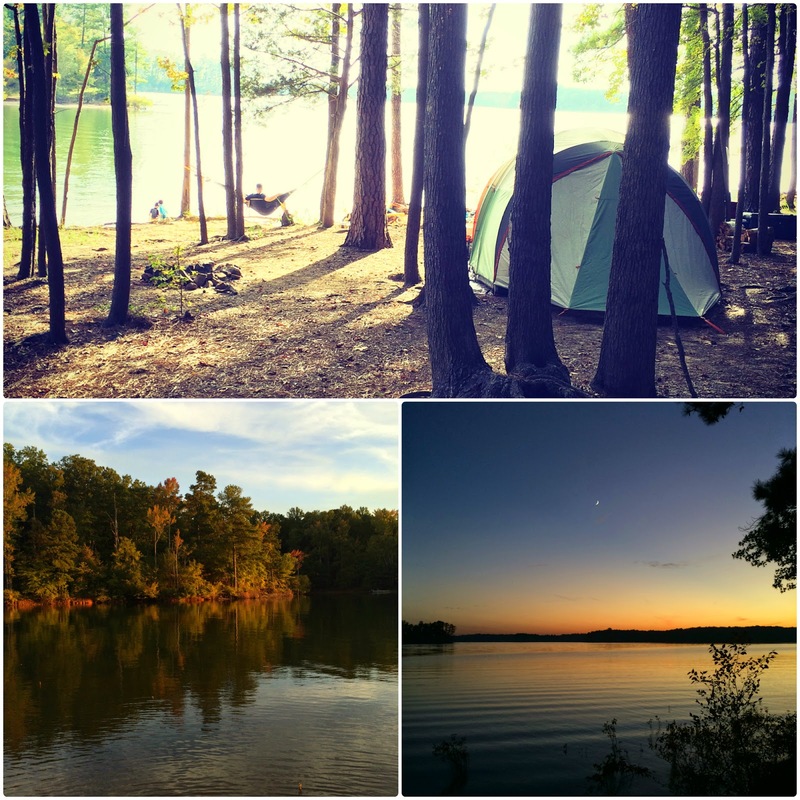 The water was gorgeous and safe to swim in, boasting campsites that overlook amazing views--absolute perfection! 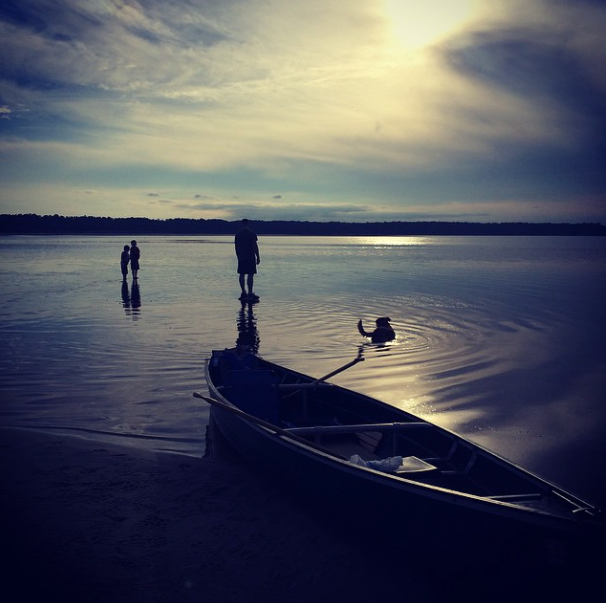 The boys swam and explored to their heart's content. The fun available right at our campsite meant I was able to play with paints while Mr. Doozie snoozed in a hammock or tossed kids around in the water. I truly could have stayed for a week! Once the drama and trauma settled he walked out with two fat lips, inside damage to his bottom lip tissue and two top teeth pushed backwards. Sigh. We head to the dentist at 2pm today and I'm pretty sure those sweet baby teeth are dead. A reality check that yep, we are still The Doozie Family haha! So, we are home, unpacked and rolling into the week. Shaking off the bad and hanging onto the good. Every member of the household is still claiming the weekend a success! Hey, I'll take it! Lets talk about this nasty respiratory virus that is making its way around the country. 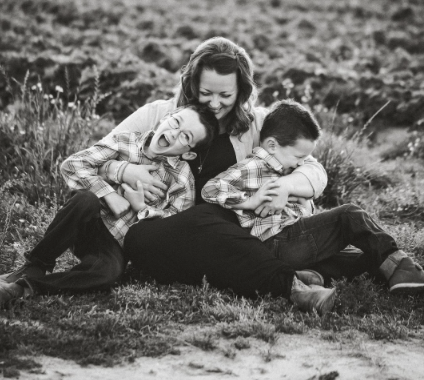 As a momma who's boys use to pick up every virus in sight, my ears perked up when the stories started making headlines. A child struggling to get enough oxygen revs up the momma bear in me. But there are things we can do to be proactive and I'm all about being on the defense. The oils I'm sharing with y'all today are known for supporting a healthy immune system! Woot woot! I'm talking oily immune boosters ladies! 1. Thieves oil on the bottoms of feet at bedtime. 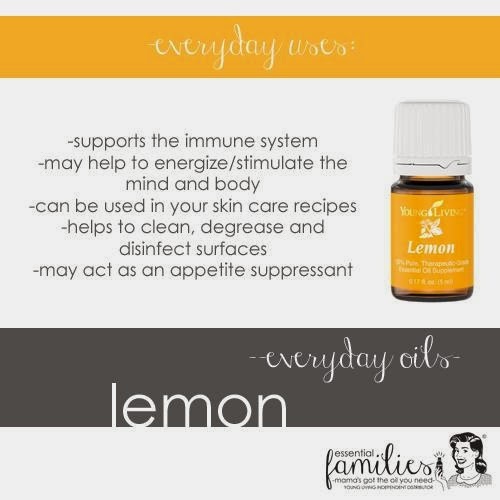 Allowing this oil blend to work wonders on their immune systems while they rest. Which goes hand in hand with all the good stuff our body is already doing while we sleep! 2. A drop of Thieves oil under the tongue after big public outings like Awanas...hello germ city! 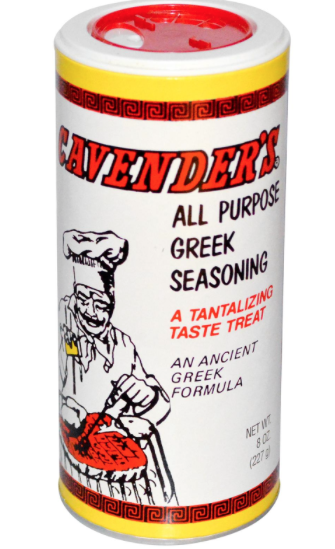 (I had a kiddo in my Cubbies class spiting on his hands for the fun of it last week....sigh...)Do try this on yourself first, this oil is spicy, like a cinnamon altoid on steroids. I have my kids chase it with some water and a gummy vitamin. 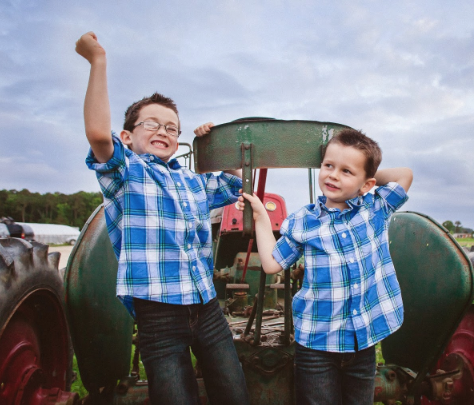 They are ages 4.5 and 7 and rock it like champs. 3. 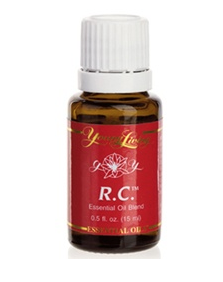 Diffusing R.C. at night. This is an amazing respiratory blend that not only helps with already occurring coughs and but also helps fend it off. Last winter Jack woke up in the middle of the night with a barky cough and it was this blend that saved us from the middle of the night E.R. trip for a dreaded steroid shot. What I am keeping on hand:1. 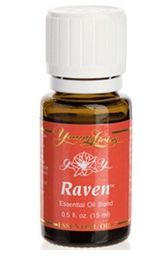 An oil blend called Raven. It is the sister blend to R.C. and they can be used together, alternating one on the chest and one on the back. Excellent for helping coughing fits and opening up airways. Raven contains Ravensara (Ravensara aromatica), lemon (Citrus limon), wintergreen (Gaultheria procumbens), peppermint (Mentha piperita) and Eucalyptus radiate. 2. Breath Again Roller. This blend is already diluted and comes in a roller bottle. Great for quick application and can be used to help with chest stuff. 3. Finally, Oregano! Y'all this is a jewel of an oil!!! If my kiddos get sick this is the oil I will be applying to the bottoms of their feet. I won't lie, it smells awful but it's worth the stink in the long run. Oil those tootsies up and pop on some socks! It can also be taken internally via capsule, but honestly I have not done my research on that yet, and we've had great success with foot application. Because we homeschool I get a lot of comments about how my kids really aren't around a bunch of germs. Totally, FALSE! In fact, and not to bash the homeschool community, but I'm finding our co-ops we attend have more sick kiddos in the group than when Will was in regular school. There is no school nurse sending these tykes home so we get exposed to A LOT! 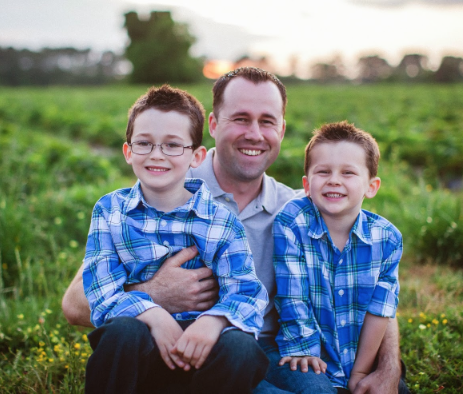 I really believe our daily essential oil routine has set my boys up for a great Fall and Winter. If you are wavering with oils my thought is take the leap now, don't wait till we are in the thick of winter colds and flus, get your kiddos armored up now! 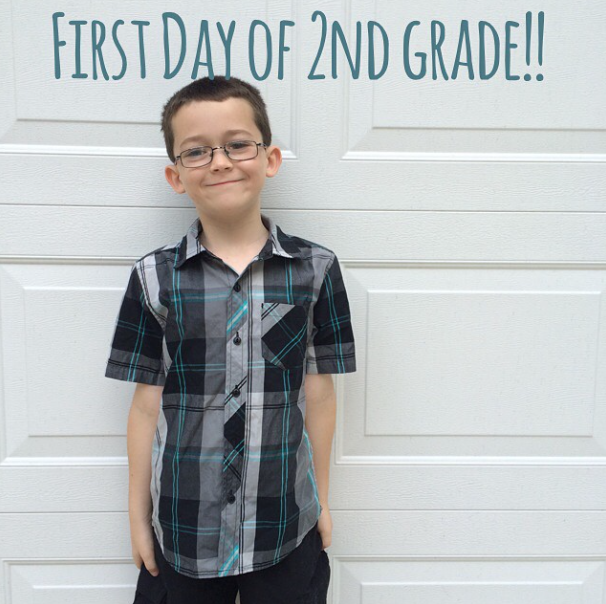 Alright, this momma bear is off her soap box! *Select "I was referred by a Young Living member, and I have his or her member number." 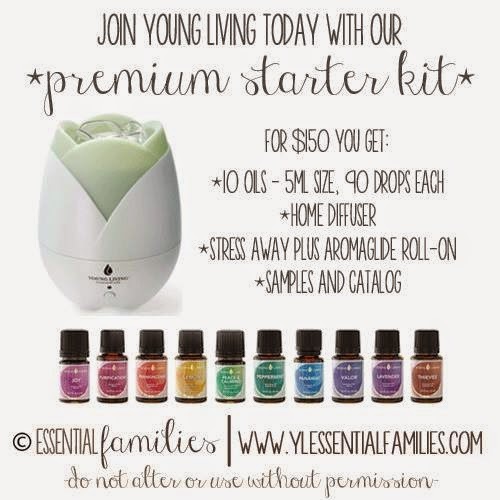 *You can say no to the Essential Rewards--in fact, I recommend this until you've tried the oils and know if you like them or not. If you do sign up, I can invite you to a private group page that will be a huge resource to you and has helped me learn so much! Have any question? Please feel free to ask me here or message me. This summer...where to begin! From the move to the start of school, our days have been full. And while we are still settling in, still making new friends and relying on google maps to get around, we have filled our days with fun and adventure! More than any other location we find ourself living outside here and I love love love it! Salty air in our lungs and sunshine on our faces. The boys play hard and sleep even harder. The street we moved to if full of kids and I'm back in a community that I've missed so very much. Life is really really sweet right now and I am crazy thankful for that! 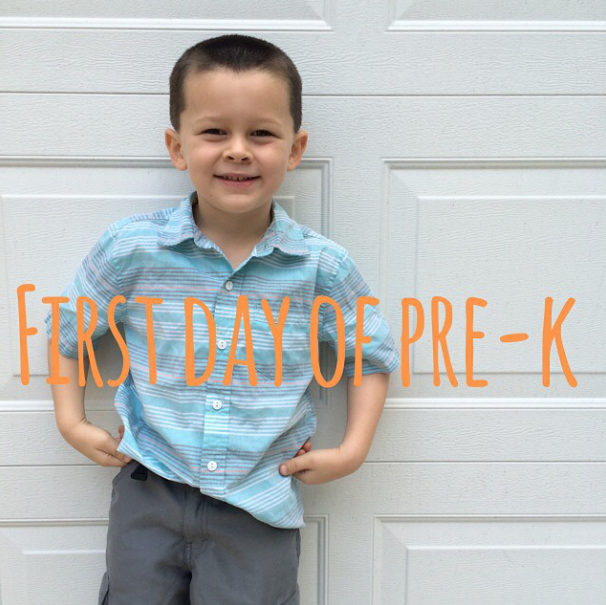 The boys have started school and I have a feeling it's going to be a great year! I fine tuned our curriculum from last year and so far we are humming along. I'll do a big curriculum share down the road. Teaching active boys has kept me on my toes! 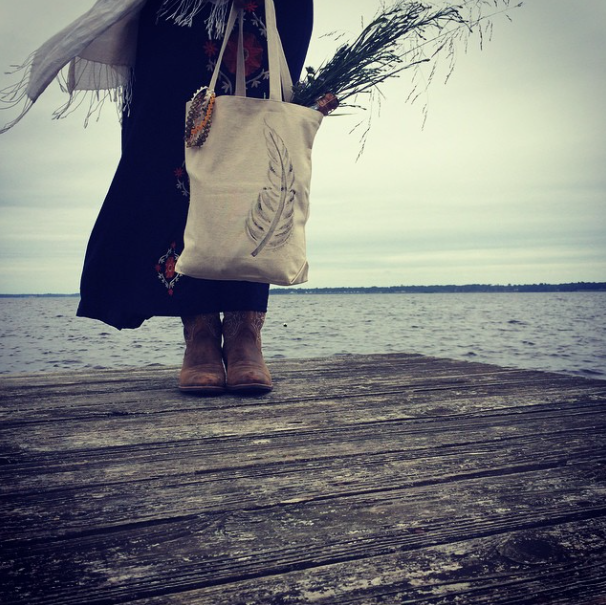 I was in need of some "mommy time" when Ainsley from the Wild and Free conference contacted me about a project. I had the opportunity to create 125 swag bags for the ladies attending. After unpacking boxes and being in move mode it was the perfect release and getting a chance to be a part of something bigger was awesome! We also have been taking advantage of our final days of summer. 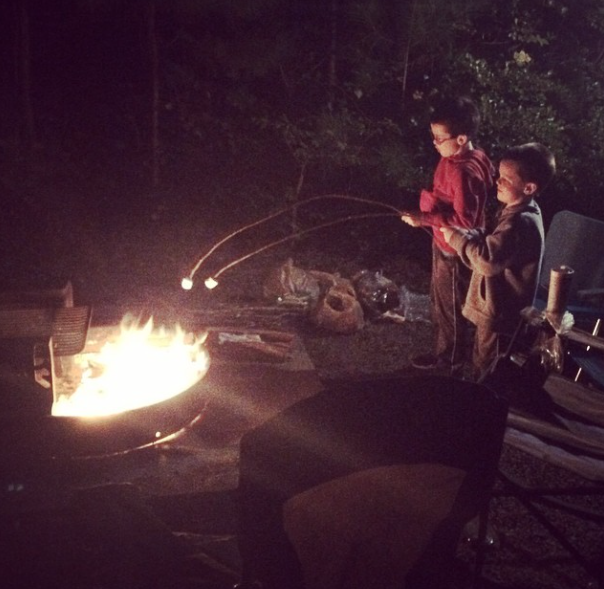 Camping with the boys is by far my favorite family activity. Unplugged, in nature, campfires and s'mores....seriously my favorite place to be. We have a handful of trips planned before winter hits and are dreaming up a big Summer 15' trip to Acadia National Park! One thing I had to share with y'all are the quiet time books we brought with us camping this past weekend. We usually spend all morning through lunchtime hiking and geocaching with the boys. Once we are back at camp it's quiet time. 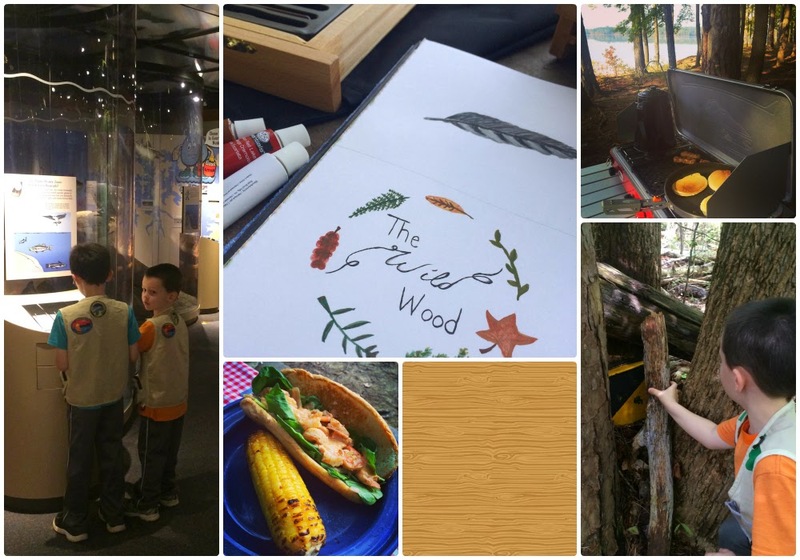 I paint or read, Mr. Doozie snoozes in a hammock and the boys can explore around the camp, paint with me or read books. 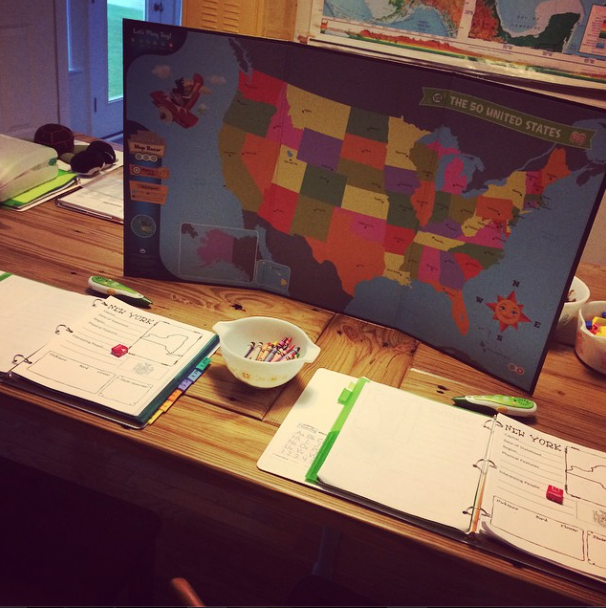 These doodle books were a HUGE hit last weekend! I'll be sharing more books with y'all down the road. Especially some amazing ones for school! Feels good to finally catch up here! Our goal for the house being finished is Thanksgiving so, yep I'm waiting to post pictures till then :) Hope your Monday is happy! Friday's Oils! Lavender and Lemon! Happy Friday! We are headed out on a little family adventure so this will be short and sweet. 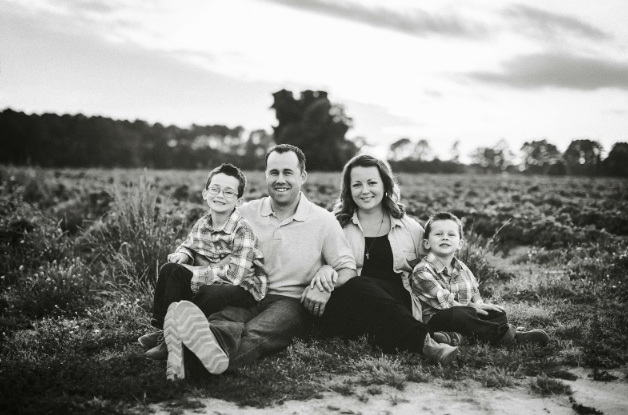 I've loved sharing our family's journey with y'all this week. From here on out I will be posting on my oil page once or twice a week. I'll share tips and things we've learned as well as opportunities to try new oils! Thank you to everyone who has commented, emailed, texted and messaged me! I hope I've been an encouragement to y'all, I know you have been to me! The last two oils for this week are Lavender and Lemon. These oils brought the very first relief to our family's seasonal issues. They were the first oils we used with the boys and I'm still singing their praises. Lemon oil is known for supporting your immune system which in turn helps you fight those pesky seasonal issues. It's also fantastic for you to take internally and can perk up a sluggish liver and even help with appetite suppression! One of the reason's I love YL is their commitment to pure oils, making me completely comfortable with ingesting ones that are meant for that purpose. Lemon oil is Lavender's best friend in my opinion. They make a dynamite team when it comes to battling seasonal stuff! We diffuse it in the boys room when pollen count is super high. Your house will smell like heaven and for my boys, the itchy red eyes and runny noses disappear. We also use Lavender as a sleep aid. 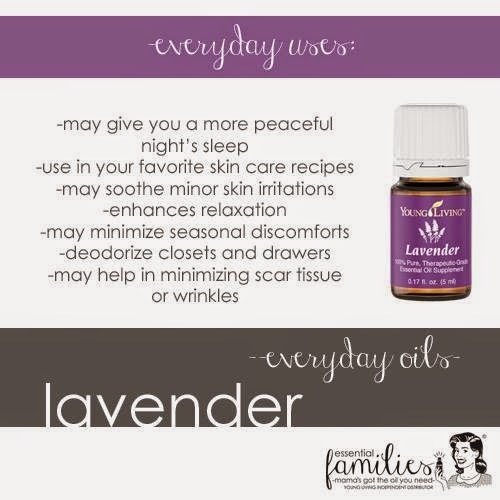 A drop rubbed on the soles of the feet or base of neck and I can bank on the fact I won't see my kiddos till the morning (next week I'll share a few more sleep oils we use as well). Lavender and Lemon are another two oils that come in the starter kit and are ones that our family truly love! 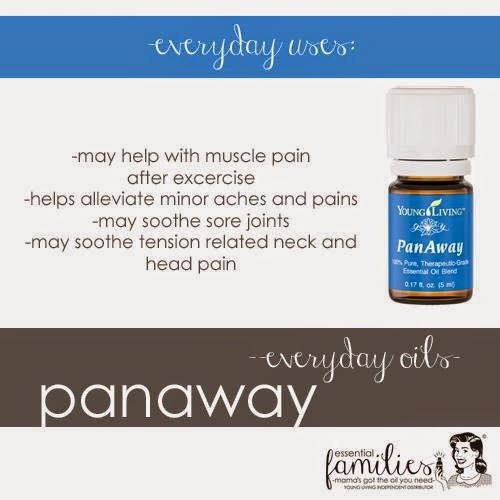 Panaway, My Go To Oil! Fourth oil of the week? Panaway! Fourth family member? Me! Argh! I'll just come right out with it, I was hooked on Ibuprofen. Between tension headaches and monthly knock-you-out cramps, I had Motrin bottles stashed in my purse, the car and all over the house. It was not good y'all. Not good at all. I knew my liver and kidneys were not happy campers. I knew I needed another option. The thing about essential oils and a journey to health and healing is that it is so very very personal. Ever since middle school my periods have been horrible. Cramping that would send me into the fetal position with a heating pad and as much Motrin as I was allowed to take. I remember rocking back and forth, trying to just focus on a spot on the wall and telling myself to hang on for 20 more minutes and the medicine would kick in. Sometimes the pain would be so intense I would get sick to my stomach. Every. single. month. was like this. During the years I've tried different things looking for an answer. Diet changes, birth control pills, even yam cream (google that one). I always ended up with a handful of Ibuprofen and a heating pad, useless to my family and accepting that those days were just a complete loss. NOT ANYMORE!!!! Since I've started using the oil I'm sharing with you today I haven't needed a single does of Motrin when my my time of the month starts! This is HUGE for me, Bill was in total amazement, so much so he had me order an extra bottle just so I will never be without. I can be pain free during this time, totally functional and available to my family! Isn't God so so so good! I love that He created these plants for us to use. So, lets talk a bit about Panaway. This power packed blend has wintergreen, clove and peppermint in it. Because those oils are considered "hot" oils, this blend needs to be diluted when applied. It's like a heating pad in a bottle and the relief it brings is almost instant! I apply it to my abdomen. The warmth from the oil is as if I have a cordless heating pad on and I am free to get on with my day! Because my pain is so intense I apply the oil straight to my lower stomach undiluted and if it becomes too hot for me I'll rub a little coconut oil over it. It took some trial and error figuring out what worked best for me. The main thing is you have to figure out what works for YOU. For tension headaches I dilute it and apply to my forehead, temples and sometimes back of neck. You will smell pretty minty but I'll take that over the awful amounts of Motrin I was taking. The boys actually love the scent, they always tell me "mommy you smell soooo yummy, can I have some gum too please?". The third way I use this oil is for growing pains with Will and Jack. Applied diluted over their shins gives them amazing relief and lets us all get back to sleep! Why oh why do growing pains come in the middle of the night? Just plain rude if you ask me. But now we have a fast effective answer, I even keep a little tub of coconut oil with Panaway already in it in our upstairs bathroom! A quick go to in the middle of the night. I do think I should say here that we still keep Motrin in our house and that I'm not advocating a "throw all your medicines away, never take antibiotics" mindset. I'm just saying wouldn't it be awesome to try the natural route first and if it's working for you then awesome! I totally believe God created these oils for us but I also very much believe that God gave man brilliant brains that have figured out some amazing medical advances. Balance is all I'm striving for here. Panaway, is a pretty pricy oil. I'll be honest and warn you about that. However, it comes in your starter kit, which is a steal if you ask me and because it's such a powerful oil it will last a long time. I just opened a new bottle, which means my starter kit bottle lasted nearly 8 months. Impressive! So there you have it! If you have any questions let me hear them! 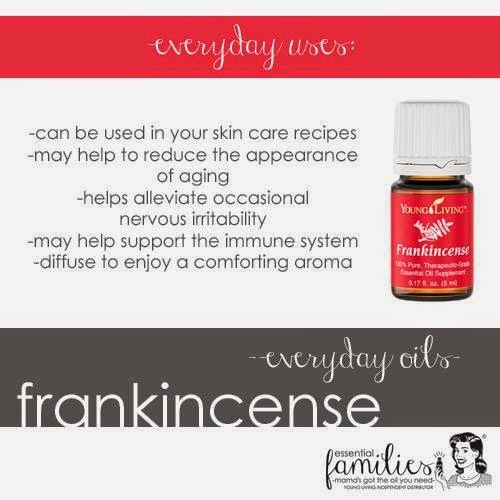 Our third favorite oil, Frankincense! Third oil of the week? Frankincense! Third family member? Bill! Or as y'all know him, Mr. Doozie! God knew just what He was doing when he placed this man in my life. I am passionate by heart, jump into things with both feet, a figure it out as we go kinda gal. The husband I am blessed with is tempered, a thinker, a show me the facts and research kinda guy. He even majored in math at the Naval Academy! I do my 9's multiplication on my fingers! Get the picture? He balances me and for that I am so very thankful. When we received our starter kit our focus was mainly on the boys and how we could best help them. 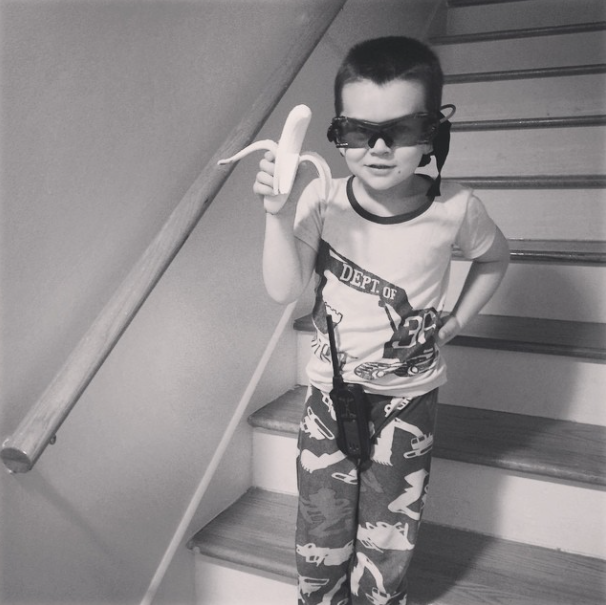 As we saw improvements with the kids, his willingness to try them for himself increased. The first big win for me...I mean wonderful experience Bill had was dealing with his seasonal issues while doing yard work. Normally he wears a mask while working and still comes in eyes watering, sneezing like crazy which results in a benedryl and then a drugged up hubby on the couch. Not fun for anyone. He let me put several drops of oil on his mask before heading out, a combo I'll share later with y'all, and what do ya know!?! He came in from working outside completely normal! Not a single sneeze, or eyes watering, just a little smirk that his wife might be right about these oils. It was his run in with frankincense that sealed the deal. Ever since I've known him he has dealt with dry, scaly patches on his face. Poor guy. It seems to be stress induced and he is incredibly embarrassed by it. Since we've been married his doc has had him on eucerin cream and a steroid cream to keep it at bay. This option has never fully worked so when I suggested we try frankincense he was open to it. For a week I had him gently exfoliate the area and then apply Kiss My Face Aloe and Olive lotion with two to three drops of Frankincense mixed in. Y'all!!!!! It totally worked! Healthy fresh skin! We were amazed!!!! He was trying this during an incredibly stressful time at work and his face was perfectly normal!! He still has flare ups here and there but they are far and few between and now he has an answer that works. With healing that comes in a couple of days versus a constant battle to keep it at bay. I've known him for eleven years and this is the best his face has ever looked! Frankincense has lots of other benefits but its the skin care properties that we use it for the most. I love adding it to my moisturizer, it helps with aging and sun spots, even breakouts and there is a ton of research done on how it can help fight cancer! Research it people!! Also, I highly recommend this book. 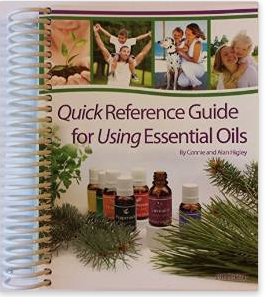 It's my go to resource when I am looking for a specific answer plus the first section explains all the science behind why essential oils work!